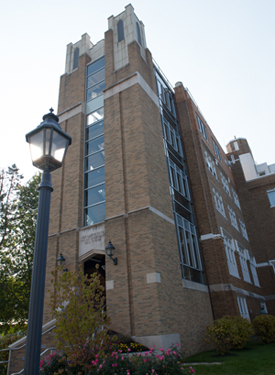 The Teacher Education Department is one of the University’s oldest departments. Many of the original students who entered College Misericordia in 1924 became teachers. Since then, Misericordia University has prepared thousands of excellent teachers for our nation's classrooms. Five areas of Secondary Education (Grades 7–12) with Biology, Chemistry, English, History (Citizenship), and Mathematics. At the graduate level, the Teacher Education Department offers a Masters of Science in Education degree. A candidate can specialize in one of three areas, two of which prepare a candidate to apply for PDE certification. Instructional Technology - Equips candidates with the knowledge and skills to use technology in educational settings. “Though the future can seem scary, because of the MU Secondary Education program, I feel prepared. Being in the program, I am surrounded by hands-on faculty who are always willing to answer any questions and take care of any and all apprehensions I might have. It is immeasurably helpful that they make sure we are out in the field every semester, enhancing our experience and knowledge about education." "Misericordia University not only provided me with the education I needed to fulfill my lifelong career goals, it also allowed me to challenge myself in a safe environment where the professors truly cared about myself and my future. My decision to take on a Special Education major was the best decision I could have made and I owe a lot of credit to my advisor and professors in the Education department for preparing me for 'what lies ahead'. If not for their recommendation, I would not be in my 5th year of teaching Special Education, nor would I have gotten hired directly out of college like I did. One of the most beneficial parts of the Special Education program at MU was the variety of field experiences each student had to complete every semester. This gave me a glimpse into several different special education classrooms, settings, and specialties, easing my transition into the "real world" with better preparation and firsthand experience than my colleagues from other universities. Overall, the Education Department at MU welcomes each student like family and fulfills their obligation of providing an exceptional education for every potential teacher who steps through their arches. I currently work at Lake-Lehman School District as a K-3 Emotional Support teacher." “I entered MU as a transfer student and even before I started class I knew that the education department was going to be a perfect fit. I met with my transfer adviser and she told me all about the program at MU. Each class was a relatively small class and because of that the professors were able to take an interest in every student. I think that was one of the biggest things that stood out to me about the department. Since the classes were small, the professors knew you by name and really cared about your progress throughout the program. They made sure you were always on the right path to graduation. All of our programs are founded on the University's respected liberal arts core program, where they develop critical thinking skills in rigorous coursework in Composition and Literature, Psychology, Sociology, Mathematics, History, Fine Arts, Philosophy, Science, and Religious Studies. Within the core, students develop professional writing and technology competencies. Our Early Childhood and Special Education Programs are combined, thus allowing students to complete two state certifications during their four years at the University. Our programs focus on diversity, ensuring that our program completers are prepared for the realities of our ation's classrooms. As freshmen, all of our students complete an urban education experience and all of our methods courses address diversity matters. They complete a full course related to ELL students (English Language Learners). Our Middle Level and Secondary Level Program students complete three three-credit courses that address how they can work in regular education with included students with disabilities. As freshmen, our students start their field experiences in our area's public, private, and/or charter schools. During their four years, they complete two field experiences, three supervised course-related practicum experiences, and two supervised student teaching placements. In all, they spend about 750 hours in classrooms. Our students are welcome in every public, private, and charter school in the area. The University can arrange student teaching placements in Ireland. We directly address teaching and learning with technology. In our curriculum, we have a free-standing technology course and all of our methods courses use technology in various ways. We had the state's first assistive technology lab. Some of our graduates teach in cyber schools. Based on our last several alumni surveys, our graduates feel well prepared to teach and to compete in graduate schools. Additionally, if they had it to do over, 100% or our graduates would return to Misericordia University and would again work to become teachers. The graduates of our graduate program also give us high marks. Generally, those who complete our program do very well on state-required teacher certification tests. To review our current pass rates for each of our programs, visit the website of the Pennsylvania Department of Education. Misericordia University's Teacher Education Department is committed to preparing excellent teachers. One of the university's first majors, Teacher Education embraces the university's mission and continues to reflect the values of our founders: mercy, justice, service, and hospitality. The program seeks to develop effective teachers who are masters of the content they will teach and who teach in pedagogically sound ways that inspire students to learn. Using educational theory and methods courses with the liberal arts core as a base, the program provides a variety of learning opportunities to facilitate a thorough knowledge of human development and an appreciation of diversity so that, as teachers, graduates will understand, respect, and respond to the unique strengths, needs and desires presented by individual students and their families. Through coursework and field-based activities that are conducted in collaboration with partnering schools and agencies, teacher candidates study, observe and apply strategies to structure learning experiences and environments responsive to students' needs. Through teaching, supervision, and personal example, education faculty establishes the expectation that students will conduct themselves at all times in accordance with the highest standards of ethical practice and professionalism. The faculty strives to develop in our graduates a commitment to on-going personal and professional growth. The Teacher Education Department faculty conflated the goals of the university and those suggested by PDE and other professional groups to produce nine departmental goals. Based on its goals, the faculty identified a series of objectives which students must master. They clustered these objectives into courses. The objectives for each course are listed in their syllabi. Graduates of Misericordia University's TED shall demonstrate that they have the knowledge and skills needed to confidently and effectively communicate orally, in writing and through various communication technologies, with students, other professionals, families, and members of their communities. Graduates of Misericordia University's TED shall explain how students grow and develop and demonstrate a willingness and ability to adjust their teaching to meet the needs of individual students, including students with special needs. Graduates shall be especially sensitive to the challenges faced by female students, students with disabilities, and members of minority groups. Graduates of Misericordia University's TED shall use research to explain the cognitive processes and complexities of learning and use this knowledge to plan and implement teaching/learning activities that support the intellectual, social/emotional, career, and personal development of students. Graduates of Misericordia University's TED shall explain how curriculum is developed, structured, regulated, and used by teachers to plan, monitor, and evaluate instruction and students' learning. Graduates of Misericordia University's TED will demonstrate mastery of the curriculum they will be expected to teach and a willingness to engage in professional development activities, which ensure their continued mastery. Graduates of Misericordia University's TED shall effectively analyze data and situations to make decisions which benefit students; plan, implement, and assess direct instruction within a mastery learning paradigm and implement a variety of advanced teaching procedures, including various educational and assistive technologies, that allow students, independently and cooperatively, multiple pathways to learning and which challenge them to explore and understand challenging concepts, topics, and issues. Graduates of Misericordia University's TED shall demonstrate a willingness and ability to use an understanding of individual and group motivation and behavior to create learning environments which encourage positive social interaction, active learning, critical thinking, and independence. They will be devoted to creating schools and classrooms which are welcoming, caring, stimulating, inclusive, and safe places in which students are challenged to take risks, make choices, work independently and collaboratively, and be supported in their growth and development. Graduates of Misericordia University's TED shall acknowledge and respect the roles and responsibilities of parents and families and be willing to enter into partnership arrangements with those interested in the education of students. Graduates of Misericordia University's TED shall see "diversity as normal" and evidence an authentic respect for all students, families, co-workers, and school personnel. They should see themselves as teachers prepared to work with all students without regard to factors related to gender, race, creed, economic status, sexual orientation, physical attributes, or ability. Graduates of Misericordia University's TED shall know and be comfortable with themselves in ways which cause them to reflective practitioners who are be willing and able to work effectively with students, other professionals, and parents. They will be fully aware of their profession's standards and practices, including its codes of ethics; look forward to being contributing members and active leaders of their profession; and function ethically and responsibly as members of their communities. All of the University's teacher education programs have been reviewed and approved by the Middle States Association of Colleges and Schools and the Pennsylvania Department of Education. Our program completers are candidates for Pennsylvania's Instructional I Certification. 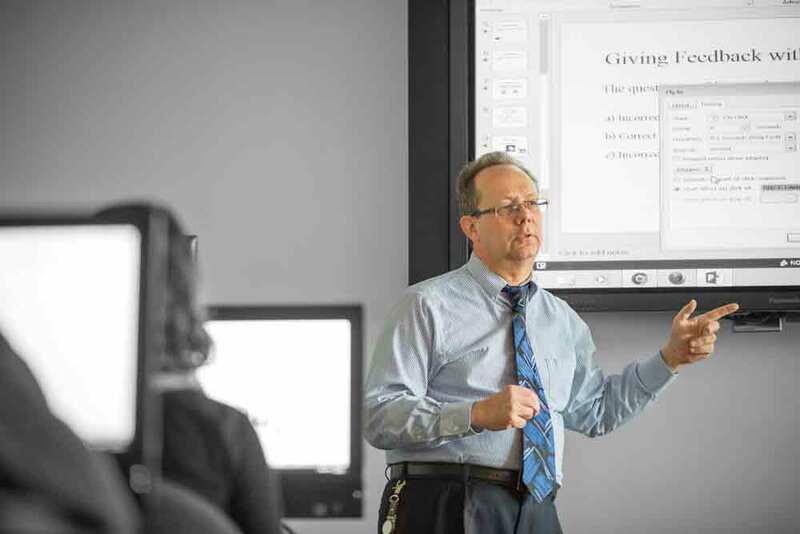 The programs offered by the Teacher Education Department have earned "candidate status" awarded by the prestigious Council for the CAPE -- Accreditation of Educator Preparation (formerly NCATE), a national accrediting agency affiliated with the Commission on Higher Education of the United States Department of Education. To ensure that the educational experiences offered by the TED are both uniform and developmental, the TED faculty established a series of "modules" (i.e., Learning Activity Packages), one for each objective. Each course includes a Course Module for each objective (20% of final grade) that structures teaching and learning with a series of prescribed activities and projects. Students must complete the activities, but they are not submitted for review. Students must submit their projects for review. Course objectives are assessed using module-referenced quizzes (20% of final grade). Each course also has a Course Project (10% of final grade), which is usually a research and writing activity of some sort. Each course has a PRAXIS-like final examination (50% of final grade). The TED faculty believes that it is dangerous to allow students who know only a small percentage of what they are supposed to know to progress in their programs. Therefore, TED students are not allowed to progress, nor allowed to student teach or graduate, until and unless they have demonstrated (i.e., through quizzes, projects, examinations, etc.) that they have mastered all of the TED's objectives. Students must earn a C+ or better in all TED courses. The TED faculty employs module-based quizzes. The faculty may provide opportunities to master material for students who earn less than a mastery-level score on a quiz. Because they are usually not done or submitted until toward the end of a semester, the TED faculty can only use Course Projects summatively. While students are working on their projects, they may seek help and feedback from instructors; however, once they submit their projects, they will be graded. Final exams, which in all cases are cumulative - all of a course's objectives are assessed - will be graded only summatively. Although the TED faculty refuses to "teach to the test," they construct and administer quizzes and final examinations to parallel PRAXIS II- The National Teacher Examination. TED faculty convert quiz grades, project points, and finals exam grades to produce percentage scores for courses and convert them to letter grades. Students must post at least a C+ in all TED courses. NOTE: Students must maintain at least a 3.0 GPA. NOTE: Students who do poorly in field placements, practicum assignments, and student teaching may be invited to withdraw from those experiences. In unusual circumstances, after appropriate consultation and deliberation, faculty may decide to drop students from the experiences. Students, who withdraw from, are dropped, or who fail student teaching May still graduate from the University with a degree in Professional Studies is they have met the requirements for that degree and the minimum requirements for the University. Normally, they may not repeat student teaching. At the beginning of every course, instructors inform students of the details of the TED's Academic Integrity Policy (see TED Guidebook). The policy states that students are expected to do their own work (except when cooperative projects are assigned). If it is demonstrated that a student has submitted work done by others, the student's work is awarded a failing grade and the student is charged with a violation of the TEDs Academic Integrity Policy. If students feel as though they cheated, purposely or inadvertently, they must inform their instructors within twenty-four hours of the incident. If students feel as though other students cheated, purposely or inadvertently, they must also inform their instructors within twenty-four hours of the incident. Failure to inform the instructors itself is a breach of the policy. For example, students who do poorly in a course may not complain afterward that others cheated, and they did not. That would represent retribution, not integrity.